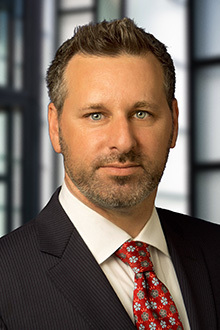 Reuben Jacobson is a partner in the San Francisco office of Lewis Brisbois and the Northern California vice-chair of the Long-Term Care & Elder Law, Healthcare and Medical Malpractice Practices. His litigation practice focuses on the representation and defense of long term care facilities such as CCRC’s, RCFE’s, ICF’s, SNF’s, and home health agencies, defense of elder dependent adult abuse cases (including financial abuse) defense of acute care hospitals, mental health facilities, County Medical Centers, emergency department physicians, nurses, and other medical professionals. Mr. Jacobson also represents residential and healthcare facilities, operators, and other licensed professionals before administrative, licensing, and regulatory boards. Mr. Jacobson further represents health insurers and health care service plans in both ERISA and non-ERISA disputes. Mr. Jacobson's Professional Liability practice includes representation of other professionals including attorneys, accountants, design professionals and property management entities. Mr. Jacobson also represents the hospitality industry and large hotel and resort owners and operators as well as home owners association. Mr. Jacobson has tried more than a dozen cases to verdict in the areas of elder abuse, medical negligence, general/premises and products liability cases.